The new Winmate M-Series Display offers users the flexibility to build a display according to their specific requirements. 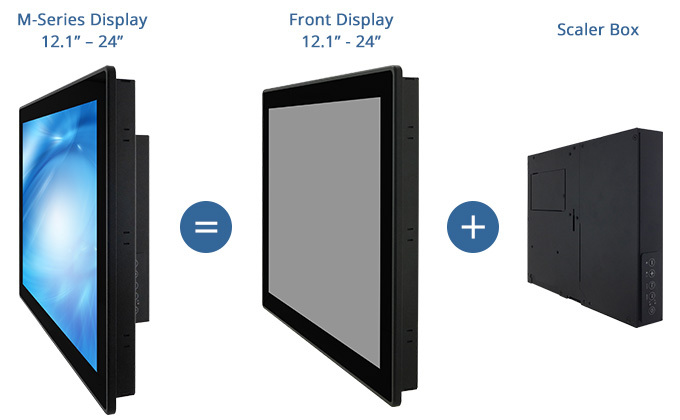 The M-Series offer screen sizes ranging from 12.1” to 24” with either the traditional 4:3 or the wide 16:9 aspect ratio and a fanless Industrial Scaler Box PC. This uniquely modular system allows expansion as user needs change keeping total cost of ownership low and quick failure recovery. Size 12.1" 15" 17" 19" 21.5" 24"
Temp. 0 deg. C. to 50 deg. C.